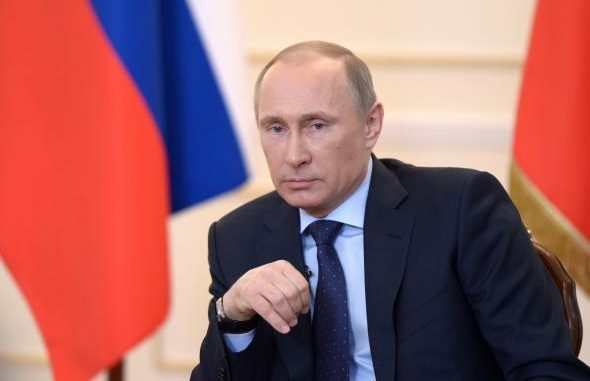 Putin has ordered his military to start the withdrawal of the main part of Russia’s forces from Syria on Monday, saying that the Russian military intervention had largely ‘achieved its objectives’. According to Reuters: Putin, at a meeting in the Kremlin with his defence and foreign ministers, said the pullout should start from Tuesday. He also ordered that Russia intensify its role in the peace process to end the conflict in Syria. Kremlin spokesman Dmitry Peskov said Putin had telephoned Syrian President Bashar al-Assad to inform him of the Russian decision. Putin said that the Russian airbase in Hemeimeem in the Syrian coastal province of Latakia and a naval facility in the Syrian port of Tartous will continue to operate. “I believe that the task put before the defence ministry and Russian armed forces has, on the whole, been fulfilled. With the participation of the Russian military … the Syrian armed forces and patriotic Syrian forces have been able to achieve a fundamental turnaround in the fight against international terrorism and have taken the initiative in almost all respects,” he added. Moscow will, however, maintain a military presence in Syria, and a deadline for complete withdrawal has not yet been announced. Putin said that the Russian airbase in Hemeimeem in Syria’s coastal province of Latakia and a naval facility in the Syrian port of Tartous will continue to operate. The Russian air force has been capable of running 100 sorties a day from the base, and would be able quickly to re-equip of it felt the military balance required it to do so. A statement issued by the Syrian presidency said Assad and Putin agreed the move in a telephone call, saying it was in line with “the continuation of the cessation of hostilities and in accordance with the situation on the ground”. Putin’s order came on the day that Syrian peace talks began in earnest in Geneva, and will be seen as a sign that Russia believes it has done enough to protect Assad’s regime from collapse.